One need not look hard to see how the incredible advances in artificial intelligence, cryptocurrencies, biotechnologies, and the Internet of things are transforming society in unprecedented ways. 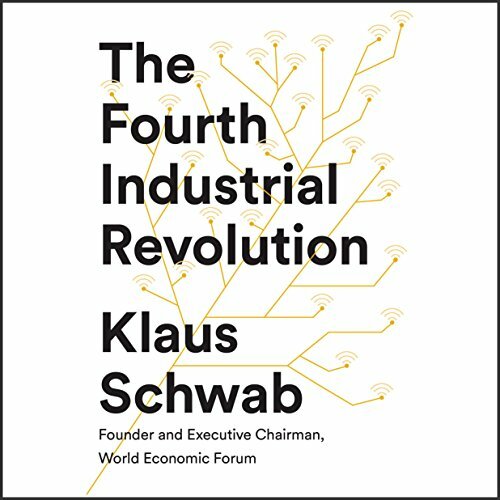 But the fourth industrial revolution is just beginning, says Schwab. And at a time of such tremendous uncertainty and such rapid change, he argues it's our actions as individuals and leaders that will determine the trajectory our future will take. Schwab argues that this revolution is different in scale, scope, and complexity from any that have come before. 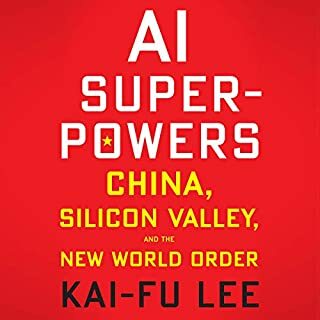 Characterized by a range of new technologies that are fusing the physical, digital, and biological worlds, the developments are affecting all disciplines, economies, industries, and governments and even challenging ideas about what it means to be human. Artificial intelligence is already all around us, from supercomputers, drones, and virtual assistants to 3-D printing, DNA sequencing, smart thermostats, wearable sensors, and microchips smaller than a grain of sand. But this is just the beginning: nanomaterials 200 times stronger than steel and a million times thinner than a strand of hair and the first transplant of a 3-D printed liver are already in development. Imagine "smart factories" in which global systems of manufacturing are coordinated virtually or implantable mobile phones made of biosynthetic materials. 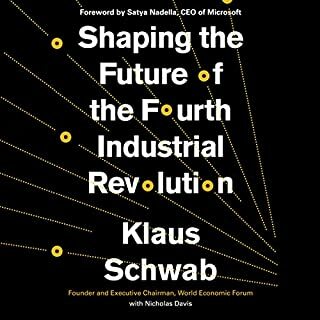 The fourth industrial revolution, says Schwab, is more significant, and its ramifications more profound than in any prior period of human history. 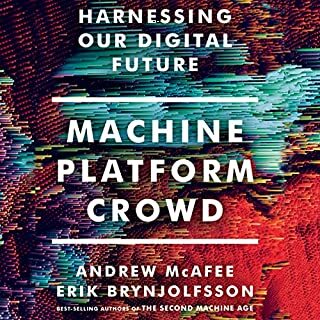 He outlines the key technologies driving this revolution and discusses the major impacts expected on government, business, civil society, and individuals. Schwab also offers bold ideas on how to harness these changes and shape a better future - one in which technology empowers people rather than replaces them; in which progress serves society rather than disrupts it; and in which innovators respect moral and ethical boundaries rather than cross them. We all have the opportunity to contribute to developing new frameworks that advance progress. 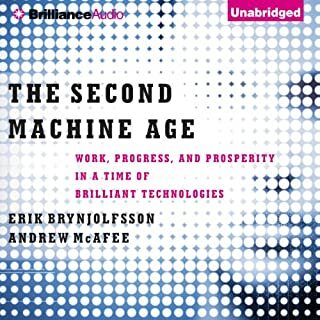 Would you consider the audio edition of The Fourth Industrial Revolution to be better than the print version? 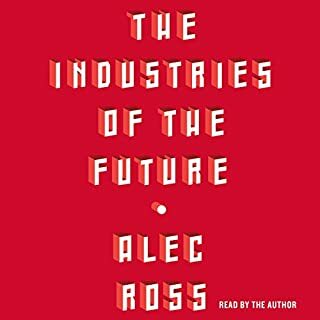 Good summary of the next wave of innovations feeding the "fourth industrial revolution," but maybe it was just bad timing that I recently finished the book "The Industries of the Future" by Alec Ross which I thought was a better book covering similar topics. this is the best book I've read from 2018. Thats all I wanted to say but they're making me write 15 words so...... there they are. Truly an informative preview of a future which will forever change humanity and our world through the power of technology. Would you listen to The Fourth Industrial Revolution again? Why? Comprehensive and knowledgeable overview of the topic of the 4th industrial revolution. Useful introduction to its principal aspects. Why does someone with a lisp narrate audio books. What disappointed you about The Fourth Industrial Revolution? What didn’t you like about Nicholas Guy Smith’s performance? I don't hold it against a person to have a lisp, but they should not be a book narrator. The content in this is great, but a large portion of that content is in the appendices and they're really not well suited to an audiobook. Thought provoking look ay technological impact! This book was an excellent springboard for deep discussion on the impact of technology in the development of our society. I enjoyed the unique perspective and introduction to innovative new ideas. Loved it! 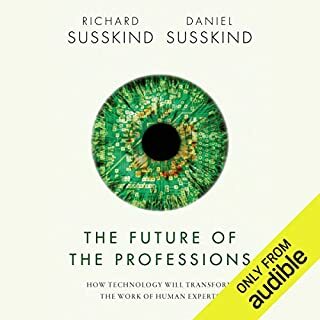 Great for curious minds and those seeking to understand the upcoming trends in technology and how these trends intersect with the economy. excellent source for those planning on werking and succeeding in the future. Worth listening to and a worthy study.